Think of every major emerging networking technology in the telecom industry. Software-defined networking. Cloud RAN. Millimeter wave. Edge computing. Spectrum sharing. 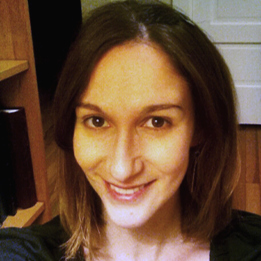 Software-controlled management and orchestration. Now imagine a field site where all of these technologies are actually deployed, in an integrated fashion, and with access made available to academic and commercial entities looking to test new applications. To get a sense of just how important this effort is, consider the industry players involved: all four major US wireless carriers; top telecom vendors including Qualcomm Inc. (Nasdaq: QCOM), Ericsson AB (Nasdaq: ERIC) and Nokia Corp. (NYSE: NOK); the two largest cell tower companies; and additional organizations that range from Oracle Corp. (Nasdaq: ORCL) to the CTIA to edge computing specialist Vapor IO . "I cannot even begin to describe how excited, how thrilled, just how overjoyed we all are," said Dr. Erwin Gianchandani, deputy assistant director for computer and information science and engineering (CISE) at NSF, about the kick-off of the PAWR program at the New York City launch event on Tuesday. Gianchandani explained how his colleague Dr. Thyaga Nandagopal, CISE director and the program director for PAWR, came up with the idea about three years ago of bringing together industry representatives and academic researchers in a joint wireless research project. Nandagopal estimated even then that it would take two to three years to organize such an endeavor and about $100 million in funding. Now that the PAWR program is a reality, Gianchandani adds that "Most of all, it took a lot of crazy." The PAWR program office is planning to name four testbed sites around the country; city-scale living labs that layer cutting-edge networking technology over a real-world landscape complete with real people, vehicles, terrain challenges and more. Of the first two teams selected to participate, the one in Salt Lake City includes the University of Utah, the Salt Lake City government, the Utah Education and Telehealth Network and Rice University. 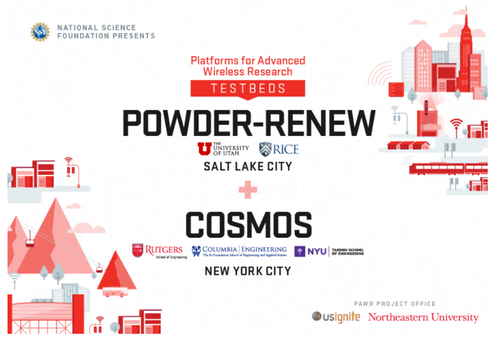 Calling their project POWDER, or Platform for Open Wireless Data-driven Experimental Research, the Salt Lake City team has designed a site that will cover 2.3 square miles on the campus of the University of Utah, 1.2 square miles downtown, and a corridor stretching 2 miles in between. With fixed and mobile network nodes, advanced hardware and a programmable software overlay, the POWDER site will enable research over both software-driven 4G and experimental 5G network configurations. The second PAWR team is the one lining up in West Harlem. With a project called Cloud Enhanced Open Software-Defined Mobile Wireless Testbed for City-Scale Deployment (and thankfully shortened to COSMOS), the New York City team includes Rutgers University, Columbia University and New York University. Additionally, COSMOS is partnering with the city of New York, Silicon Harlem, City College of New York, the University of Arizona and IBM. Like POWDER, COSMOS has grand ambitions to serve in the vanguard of wireless experimental research. Unlike POWDER, COSMOS will do its work in one of the densest, most diverse and chaotic regions of the country -- a 1-square-mile site covering about 15 blocks and bordered by the Hudson River and the legendary Apollo Theater. The testbed cities seem like a great option to test the technology! I hope to see follow up reports of success and lessons learned in the future. I wonder how well this will work out over time. It should prove to be a very valuable experience.